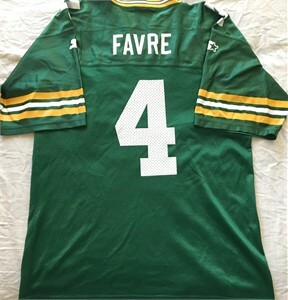 Brett Favre Green Bay Packers authentic Starter replica jersey with screen printed name and numbers. 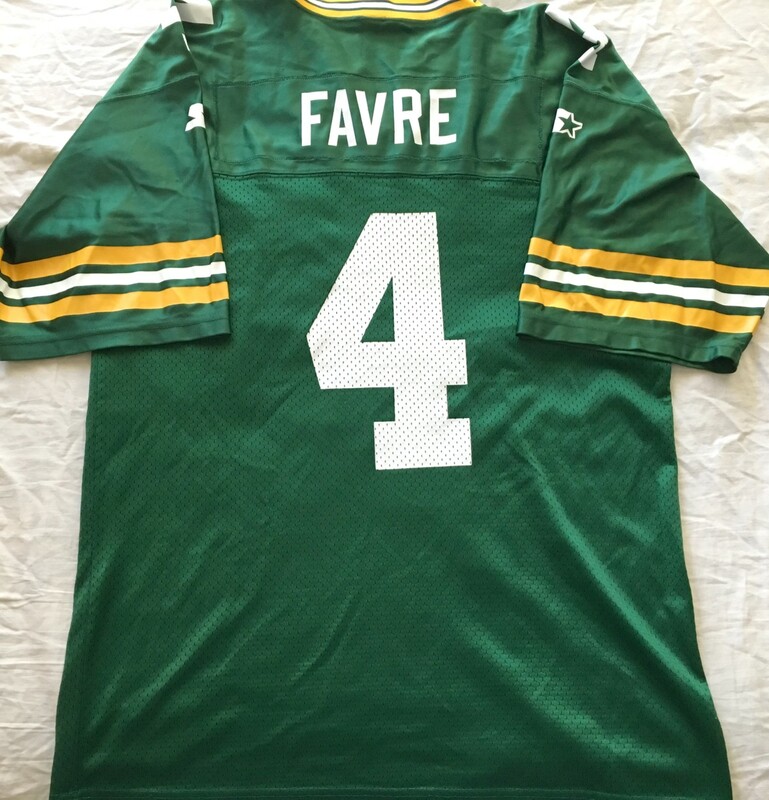 Size 52 (about XL). Armpit corner to armpit corner measures 23 inches. Appears to have been worn and laundered a few times but in excellent condition with only very minor flaws and wear. ONLY ONE AVAILABLE FOR SALE.